Karishma Parekh Mehta is the Managing Partner for Karishma Sarees and Suits with offices running in Mumbai and Rajkot. Karishma Sarees and Suits is India's leading brand in cotton textiles for ethnic wear. Under her leadership, the business is today India’s only leading national brand in 100% cotton sarees and cotton salwar suits for daily wear for the urban and semi-urban Indian woman. Though it is her family owned business, but rather than just basking under the acquired glory of the current status of the business, she has taken the company to new heights. Single handedly, she manages the semi-wholesale business which has lead to the turnover increasing by 150% over 3 years. In this interview, she gives you a sneak peek inside her mind and shows you how to become a superstar success at work. From the very beginning, my father made us become aware of the need and potential of converting our unstructured environment into a more structured and professional workplace. When I joined the business, I was perceived as the boss’s daughter. I wanted to change that perception from day one. I started at the ground level with understanding every nuance and spending time with each employee on their daily tasks. I did this for the first 100 days. The result was that it helped me understand the business bottom up and instilled a greater acceptance of my management style in the months to come. A lack of second line of management in the business means as a business owner, I still do spend considerable amount of my time in routine management and supervisory functions as well. The lack of skilled manpower in our line of business is a daunting problem. When I joined my family business in 2010, a lot of things had to be taken care of. We did not have a marketing department. I began with segmenting B2B customers into dealers/direct retailers/ dealers’ retailers/reactivated retailers and formulated a marketing database to be used for targeted marketing and relationship communication. A catalog marketing system was set up wherein new product catalogs were systematically sent to 2000+ retailers all over the country. We introduced email, SMS marketing and digitally interactive catalogs. We introduced a door to door marketing effort in select markets like; Andhra Pradesh and Karnataka. Shop-in-shop counters were set up in Uttar Pradesh, Bihar and Kerala. We invested in branding through large scale advertising and promotional material for the channel partners. Lastly, a systematic research and feedback process was established. In the last year, we have started selling through Flipkart, Amazon and Paytm and we are soon to launch our own mobile app. With these efforts, we are trying to actively sustain all customer touch points. After analyzing our dealers through segments on the basis of their turnover with the company and high value/high potential dealers as are our top priority, we gave them maximum marketing and sales support. The low value/low potential dealers were flagged for communication purposes only. Restricting the number of dealers ensured that every dealer earned the utmost. Making inroads with our advertising, power displays and marketing collaterals for all dealers, it helped them with brand marketing and garner retailer support. On behalf of the dealers, we categorise their retailers into A/B/C grades and regularly send catalogs which help the dealers create a pull mechanism to sell our goods. We continuously scout established textile houses/ distributors in select markets to expand our domestic footprint and supply goods to large retail chains in Sri Lanka and UAE too. The key point I focussed on was building a high perceived value for our brand, fabric, quality, colour and design in the market. I made certain that we invest heavily in our associated partners, infrastructure, quality control and management processes. The stock cycle has been optimized and interest/operating costs have been well managed which have had a positive impact on profitability over the years. All this has lead to higher turnover. Over the years, I have become more grounded and more in tune with real problems that people face. My entrepreneurial and leadership skills have been honed through this process as I have managed to build a culture of continuous communication and feedback. This makes us one of the most agile and flexible work environments in an otherwise “traditional’ industry”. My biggest learning has been to “work as if someone’s trying to take it all away from you”. I can control my efforts and ultimately, success is that moment when hard work and preparation meets luck. I continuously engage in conversations with my employees about their families, their kids, their difficulties. This builds a two way connection and smiling faces. I genuinely want my staff to be content at the workplace. I owe my workplace success to my family and their unstinting support. My father, at the helm of the business, has given me a free hand to run the show and even allowed me to experiment and fail. My husband Vishal is my source of encouragement. ASCENT is a unique peer-to-peer platform that allows entrepreneurs to scale their business to the next level. I joined ASCENT back in 2014. My ASCENT group serves as my Advisory Board. It is a ready platform for me to discuss my strategic and tactical issues at work. Members help each other dive deep into their businesses and share perspectives and experiences. 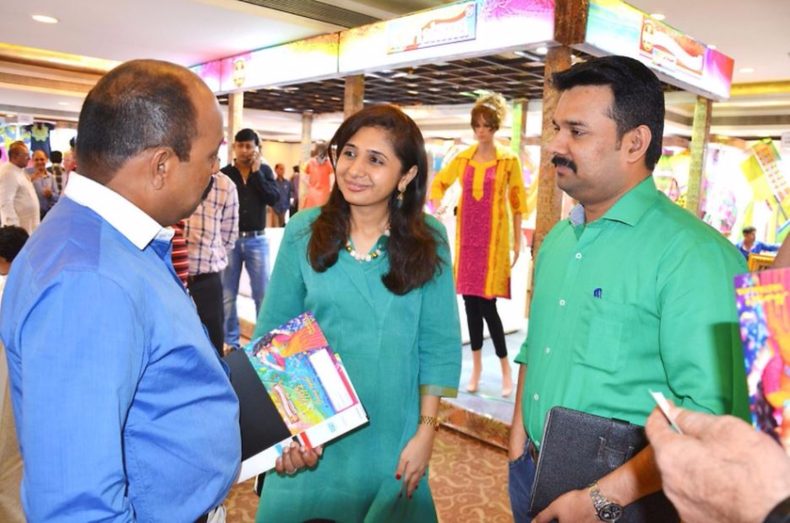 One needs to continuously align oneself to the dealers’ and retailers’ changing mindset and stay connected to their employee needs and build strong internal relations.